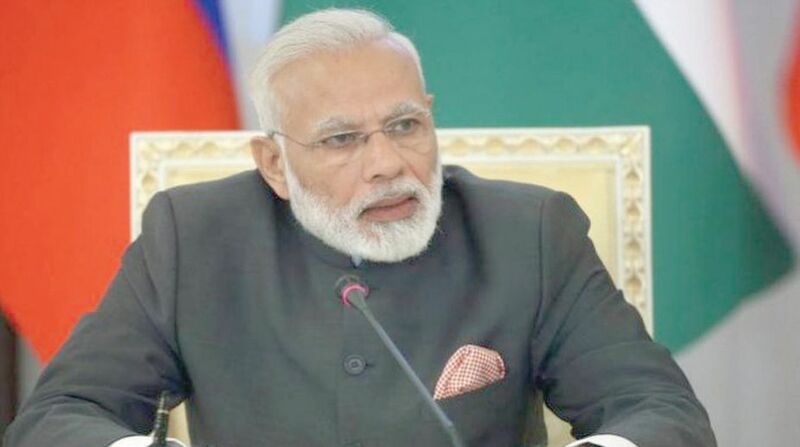 Prime Minister Narendra Modi on Tuesday declared that India was not eyeing any country’s territory or resources even as he reminded the global community of the relevance of Mahatma Gandhi’s philosophy of non-violence and ‘satyagrah’ to counter extremism and radicalisation. ‘’We have no intention of exploiting anyone’s resources nor are we eyeing any country’s territory. Our focus has always been on capacity-building and resource development,’’ he said in his keynote address to the Persons of Indian Origin (PIO) Parliamentary Conference. India, he said, had never kept profit and loss in mind while formulating its policy towards any nation. ‘’Our developmental aid to other nations is also not based on the give and take model but on their necessities and priorities,’’ he added. His statement is being seen as an indirect indictment of Beijing which is undertaking the China-Pakistan Economic Corridor (CPEC) project in Pakistan-occupied Kashmir (PoK) despite India’s protests over the Chinese investments in the disputed region. The remarks are also aimed at justifying India’s massive humanitarian assistance to Afghanistan for capacity-building in the embattled nation. The day-long conference was attended by nearly 125 Members of Parliament and 17 mayors from 23 countries. India celebrates 9 January as the Pravasi Bhartiya Divas (PBD) to mark the return of Mahatma Gandhi to India from South Africa. The PM said his government was following the “guiding principle” of “reform to transform” that helped India to move way ahead of the “jaisa pehle tha vaisa chalta rahega, kuch badlega nahi (nothing will change)” culture. “Thinking, aims and aspirations of our people are at an all-time high and that is because of the transformation the country is going through. The World Bank, the IMF and Moody’s are looking at India in a positive way,” he added. The PM said the government’s aim was to root out corruption and with the implementation of Goods and Services Tax (GST) it has removed many tax slabs and brought about transparency in transactions in various businesses. “Keeping in mind the needs of 21st century, the government is increasing the investment in technology, transportation,” he said. Modi praised the contribution of overseas Indians in influencing the geopolitics of the countries where they were living. He said the 21st Century was being considered the Asian century and India would be a major player and “you shall feel proud about our growth, hence inspiring us to work even harder”. The PM also called upon the PIO lawmakers to be partners in India’s development and act as catalysts in the country’s economic growth.